Speakers are integral components of almost all conferences and events. They are the stars of the show. 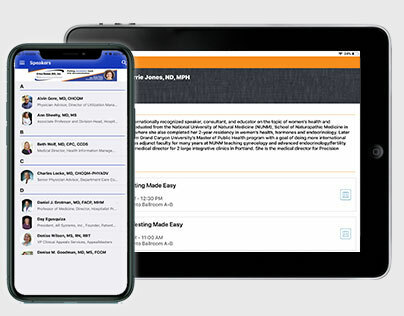 Display speaker headshots, their names, bios, contact information, and more while having the freedom to change this information at any time form the Grupio Content Management System (CMS). Search for speakers by first and last name. Attendees can go a step further in their interactions with speakers. They can use the "Ask the Speaker a Question" feature. 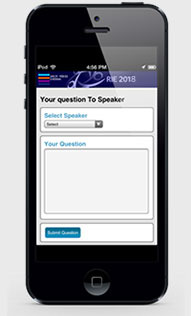 The event app will send these questions to the speaker via an in app message and email. Speakers can then reply back in the same fashion to answer the question. 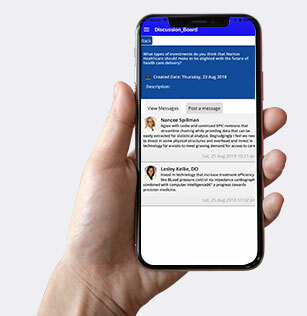 Multiple attendees can connect with speakers and each other via the event app discussion boards. Discussion boards refresh every few seconds so that the most recent messages are displayed on screen.